A bedroom is a private space for its residents. 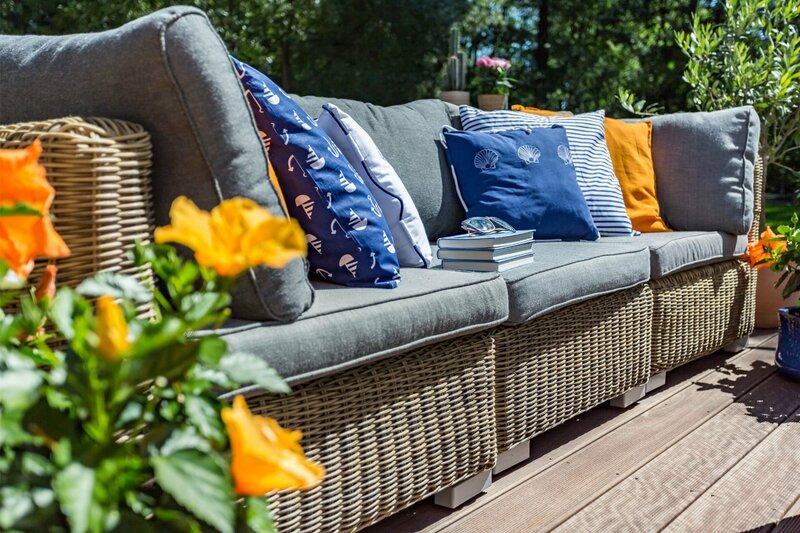 It can be a place to relax, enjoy, and escape from the stressful hubbub of everyday life. A master bedroom design should be in accordance with the resident’s taste. This is because it is the part of the house where one goes to lay back and relax. Studies have proven that a serene and calming bedroom can have positive effects on brain. Relaxing themes can also help to induce sleep. While kids naturally get to have a nice and cosy bedroom, it’s the adults that need it more. Why? The hectic routine of office work or studies can, and will, take its toll on them. 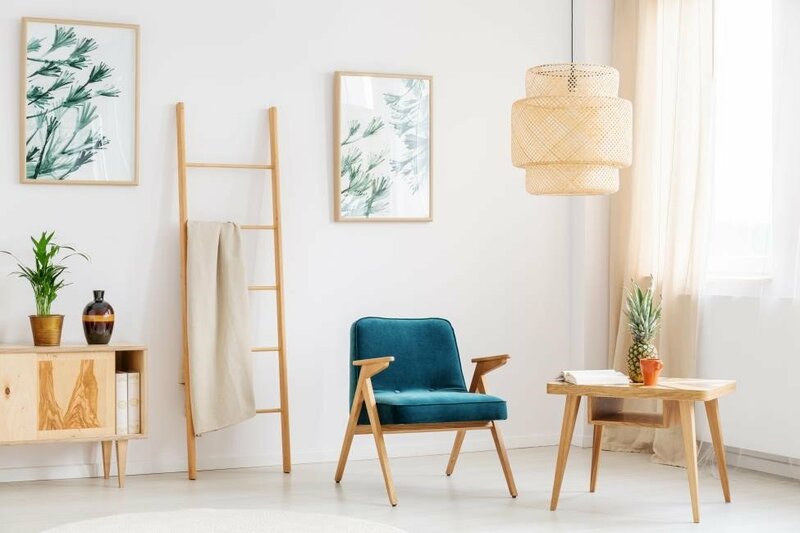 This is why at the end of the day, they need to be able to climb into the cosiness of oak bedroom furniture, or cherish the leisure of upholstered bedroom furniture. In contrast, kids can literally sleep on a rock if they’re worn out after a full day of running and playing. So, how about we help you revamp your bedroom in accordance with the coming season? Spoiler: It is winter season, so be warned that there will be A LOT of dark, warm tones and lots of solid oak bedroom furniture. We have categorised the ideas into different sections which involve ideas for both couples and singles. Even though this isn’t the ultimate segregation, this will help you adopt a style that suits you best. Couple bedroom décor is somewhat different from that of singles. It doesn’t matter if they have oak bedroom furniture or upholstered one, it’s just different. The plum colour has an extremely luxurious appearance. It gives a look of grandeur and luxury to the room. Combine that with plush and velvety fabrics and textures. Bring in a few gold details and you have yourself a royal abode. Buy an upholstered bed in plum colour from an oak furniture online store. Pair two dull gold painted nightstands with it. Velvet curtains also increase the grandeur of a master bedroom design. Throw a plush or hide rug to bind the décor together. One of the most recent obsessions in the master bedroom design and décor is the jewel tones. Jewel tones include sapphire, emerald, ruby, amethyst, and topaz colours. 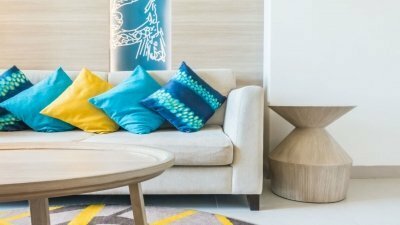 These tones emerged in recent years in the home décor trends. Since then they haven’t gone back. In the bedroom décor, especially, these tones can create an extremely deep and warm look. These tones have a protective and safe appeal that gradually grows on you. These deeper tones work well with solid oak bedroom furniture. Integrating tints of gold here and there can create the perfect atmosphere. Let comfort and romance prevail in the air. Nothing oozes glamour like the colour gold. Many people think of gold as something rather frou-frou that can instantly make a room appear gaudy. This may be the case with the wrong shade and ratio of the colour. Just like a simple white colour, gold has many shades and not one of these work like the others. So, choose the right shade and use it in the right proportion all throughout the room. Gold can be used in the master bedroom in lamps, mirrors, frames, trinkets, and even bedding. Several oak furniture online stores also sell lamps and mirrors. Buy the one you like from there, but make sure they are in gold. Keep a sufficient number of pillows on the bed and keep at least one in a shade of gold. If you and your partner are old-school with a great liking for the traditional décor then go for a rustic master bedroom design. 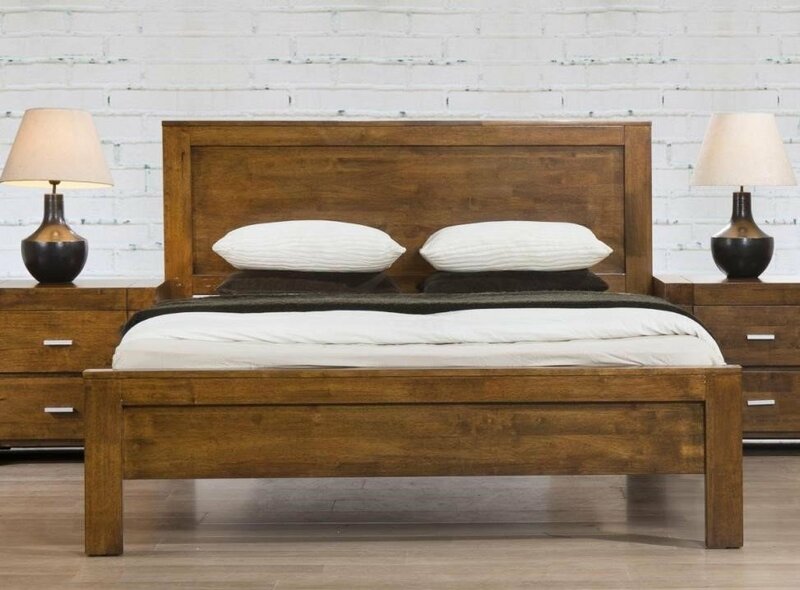 Buy a Solid Rubberwood Rustic Oak Double Bed and match it with shades of white. This bed set has a dark wood tone that will look warm and inviting in front of a white wall. A fake or real brick wall would also look great with this wood tone. To complete the look, add neutral coloured bedding and rug. 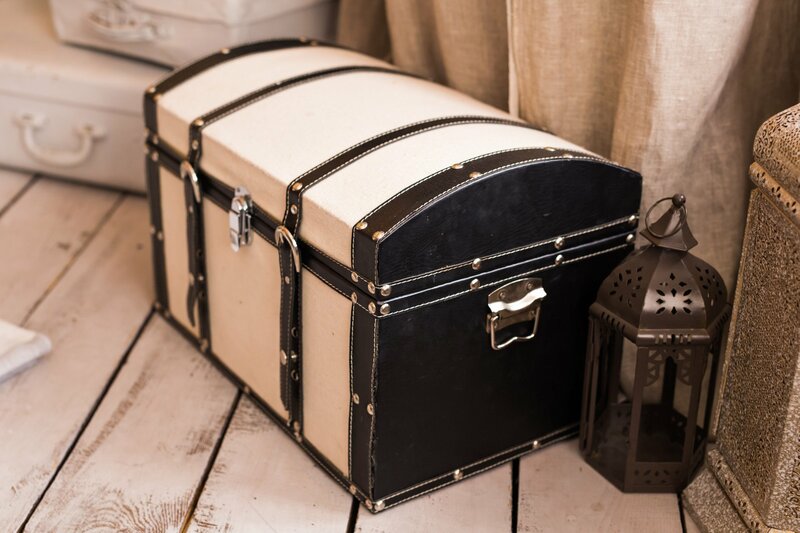 This will anchor the rustic appearance and keep it contained. Neutral tones and warm wood tones have a welcoming feel that can be all you need after a tiring day. 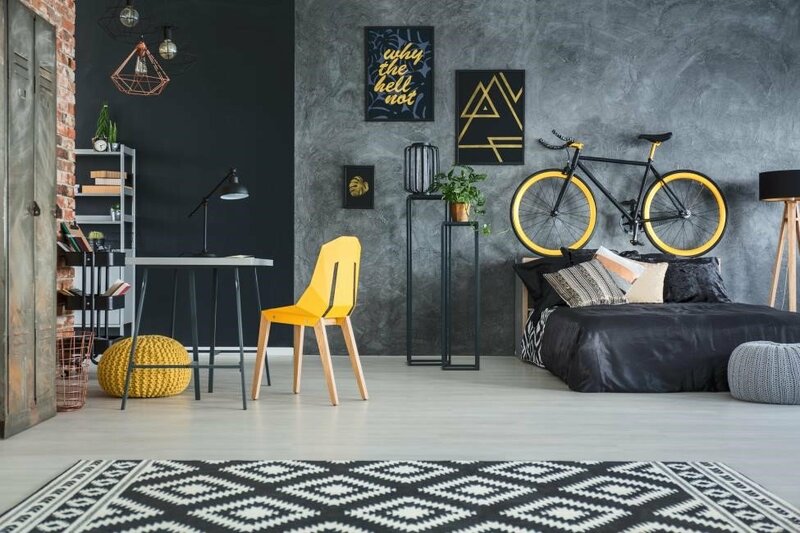 Readmore: Contemporary Bedroom Colour Schemes With Oak Furniture - The Best Of 2018 (Part-1). 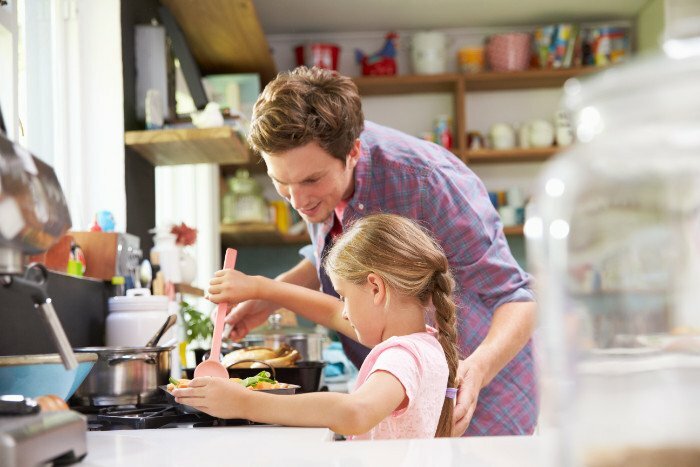 Just like their minds, bodies, and clothes, the bedrooms of guys and girls also differ. Though there are no hard and fast rules to divide both the styles, there still are some obvious differences. Let’s have a look at both the common styles. They say, ‘when in confusion, wear red’. We say, ‘when in confusion, paint it red’. Embrace the bold woman in you and bring in some scarlet into your life. Pink may be the epitome of feminineness, but the ladies like it red. 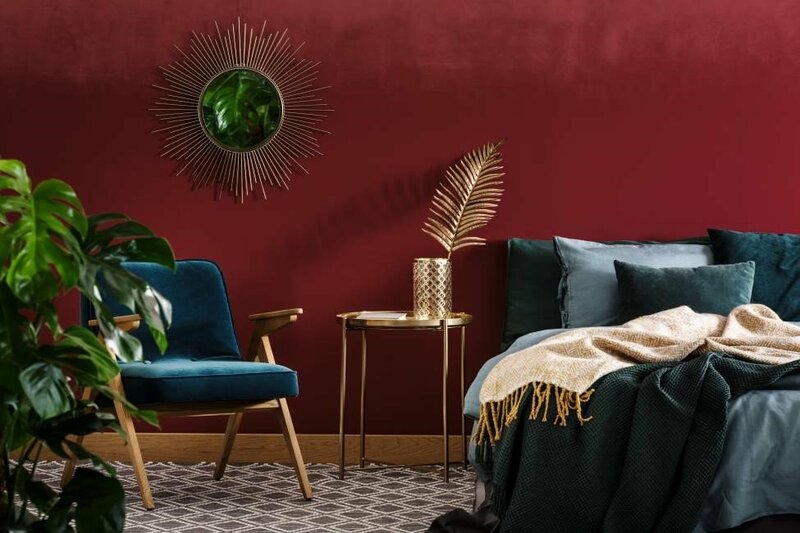 Integrate a little red in the master bedroom design and décor and you’ll see what we’re talking about. The oak bedroom furniture should embrace red colour with open arms. Natural oak furniture looks extremely chic with red colour. Choose a complementery colour or define an entire palette to work around. This will make the whole décor process more interesting. Make your bedroom your ramp where you model for yourself before you step out every day. Women and fashion go hand in hand, so make use of your fashion. Flaunt your style confidently. Hang huge fashion artwork above your solid oak bedroom furniture. Boast off your Louboutins with confidence. If you have a minimalist’s soul living inside you, that’s even better. Work with a monochromatic or dichromatic palette. 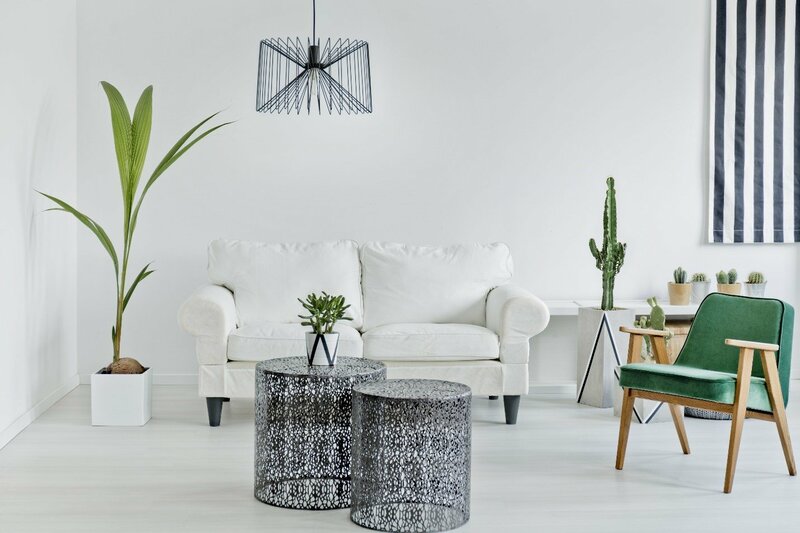 A combination of black, white, and red is the secret code to a minimalist fashionista’s cave. Floral patterns and soft prints – the perfect feminine boudoir! Cute and chic bedding in pastel colours can help achieve the look. The Vinton Slatted Bed from our oak bedroom furniture collection would be ideal to achieve the look. Buy floral and feminine-looking bedding from an oak furniture online store that sells bedding, too. 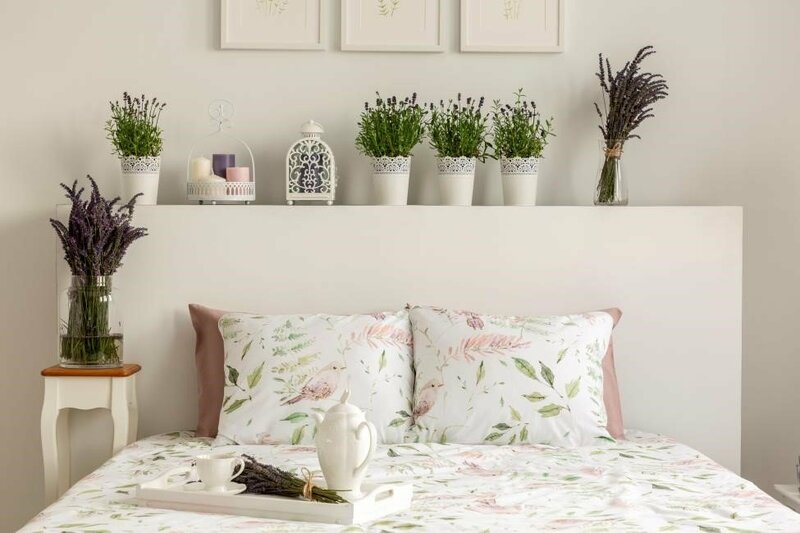 Decorating the bedroom with natural flowers can create a fresh and natural ambience. No matter what the gender, neutral works for all. Earthy neutrals and warmer tones have a way of making a master bedroom design more welcoming. Upholstered headboards in plushy fabrics can instantly uplift a bedroom décor. Velvet and faux mink fabrics have comfort oozing from them. Our Willowbank Mink Fabric King Size Bed is one such example. 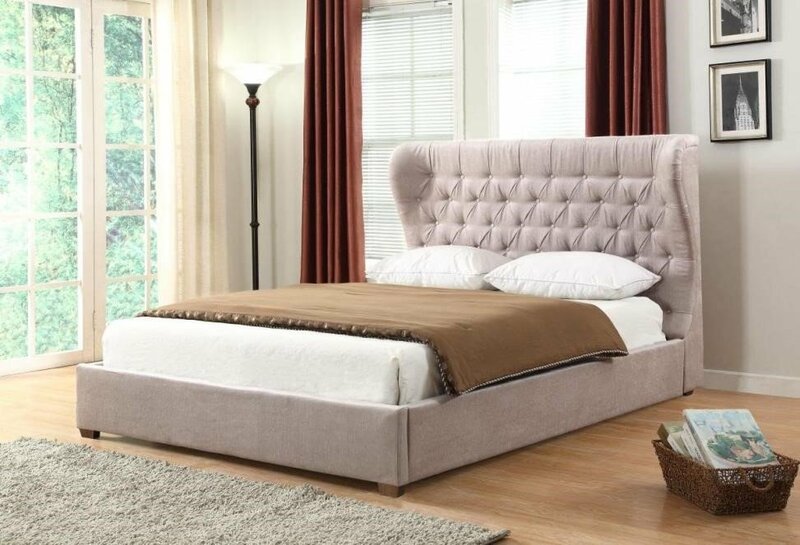 It is upholstered in mink fur and its light brown colour is perfect for a neutral themed bedroom. Lots of clutter, a weird smell, no bedspread, and just chaos – that’s a guy’s room! Just kidding! Dark tones, heavy textures, monochromatic shades – THAT’S a guy’s condo! The stories of socks as floor and towels as pillows in boy’s rooms are nothing but myths. Guys also have a sense of cleanliness and they can also have fairly nice-looking bedrooms. 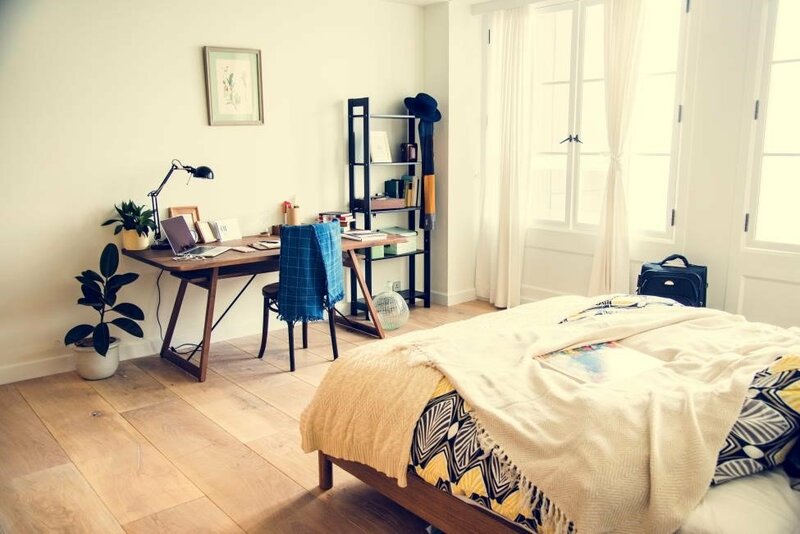 For the workaholic in you, a desk within the bedroom is a must. Buy a wooden desk matching your solid oak bedroom furniture from an oak furniture online store. The solid wood tone marries well with both black or white. It can look good with both, too, but then the whole palette has to be continued on throughout the room. 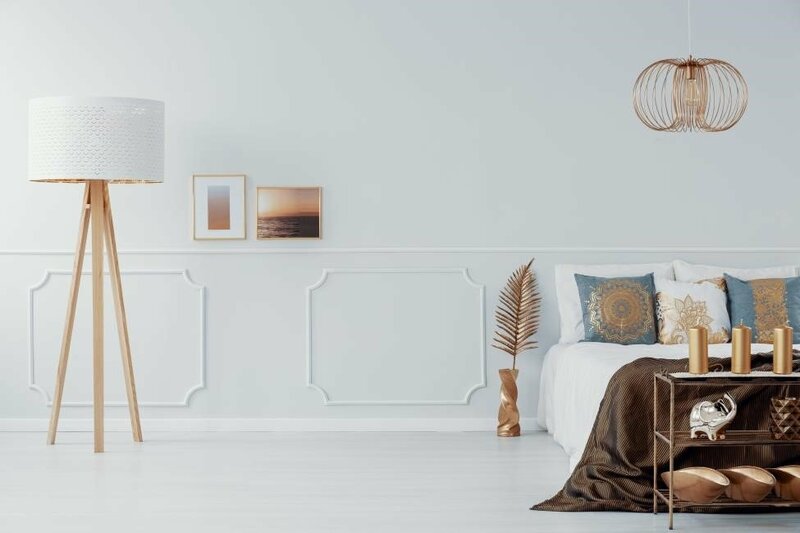 If your room has wood panelling, then this will look even elegant. Display some of your favourite items on the desk. This could be a gift, a souvenir, or a portrait of your loved ones. This will make working hours less hectic by brightening up the corner. Among guys there are no grey areas – it’s either black or white, and so should their master bedroom design be. The monochromatic approach meshes well with a guy’s room while this isn’t a final verdict. Ladies can have a go at it, too. (WE’RE NOT SEXISTS). A room all-white, the artwork all-black, and everything in between with perfect proportions of both! The striped or chequered patterns work well in the guys’ room. Place an armchair that matches the décor – which means it should be white or black or both. Are you known as the dark, brooding and mysterious type among your friends? Then embrace the darkness (not literally) in your master bedroom design and décor, as well. Chalk paint looks great in a bachelor abode. Paint the wall behind your bed with chalk paint. Hang enormous artwork that’s visible and standing out. Chalk paint looks great with oak bedroom furniture in natural varnish. Choose a bright and obvious accent colour and hint it subtly in different corners of the room. This creates a fun look and does not make the room appear entirely dark. 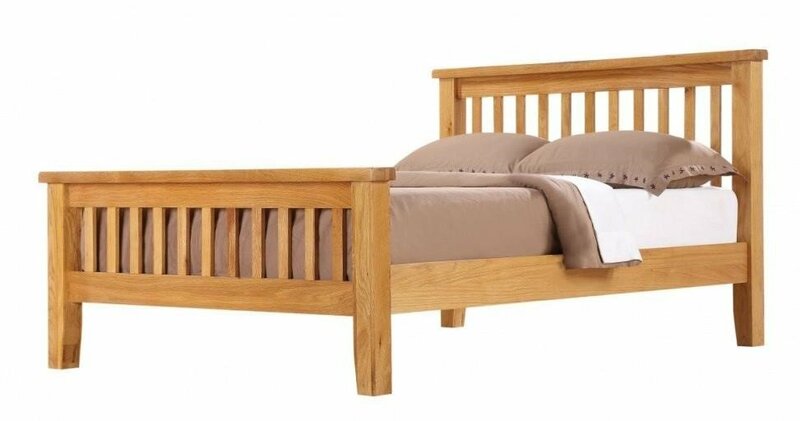 For a guy who likes it simple – an Acorn Solid Oak Bed should do the trick. A plain and simple oak wood bed looks quite elegant in a bachelor’s room. 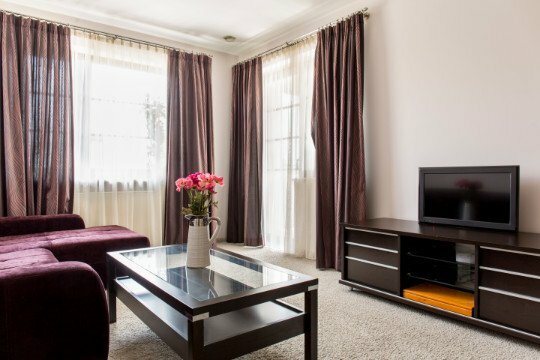 Its clean and simple finish makes the room appear less cluttered and more contained. To complete the look add earthy neutrals in the bedding, rugs, and curtains. Buy solid oak bedroom furniture from the best sellers at Furniture Villa. We deal in the best quality oak bedroom furniture that has durability and class combined. 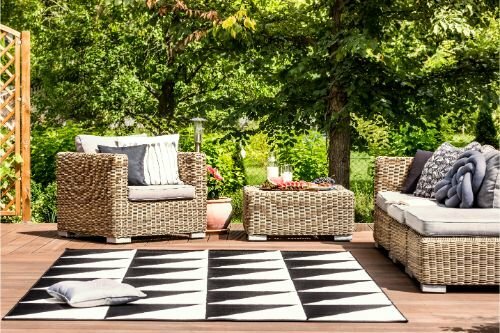 Bring the comfort and style that your home needs from one of the best oak furniture online stores.